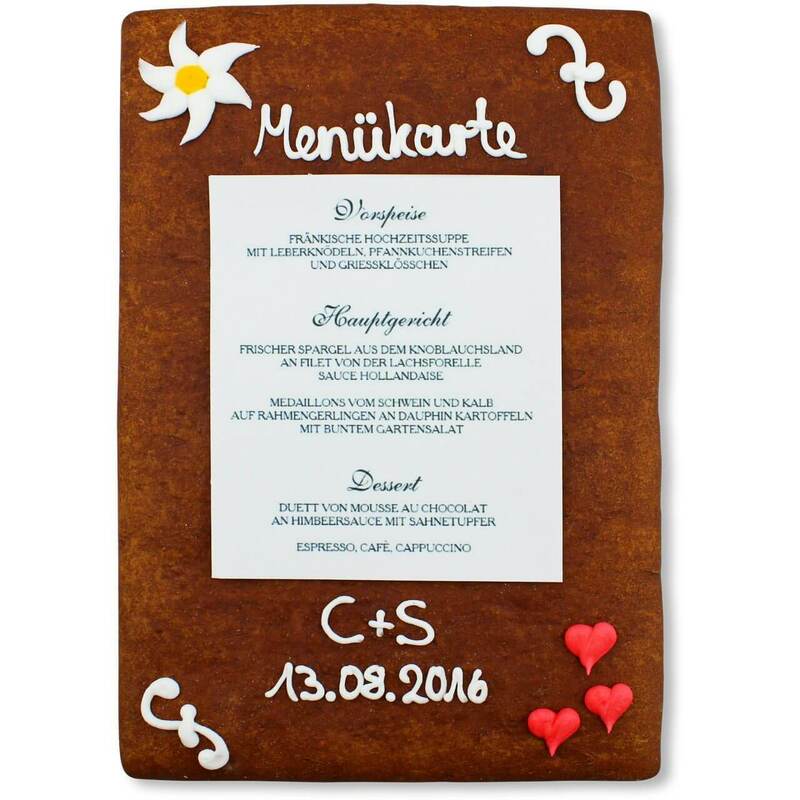 The menu card "Johanna", made of delicious gingerbread, is the perfect alternative to a traditional folding card. 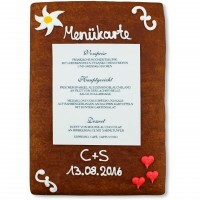 The gingerbread with the sugar decoration edelweiss, hearts and ornaments makes your wedding tabel a true eye-catcher. Personalize your menu cards with a header and a footer of frosting. The menu itself is printed with food coloring on edible sugar paper. Please use the template for the menu. Each Gingerbread is unique and made by hand, therefore, shape, color and arrangement may vary slightly.